It’s that time of the year again…the time when you need ear plugs and a heart of steel…yes the first group of cria have been weaned. Yesterday they were weighed and had their doses of Baycox and oral Cydectin (routine at weaning), they were then directed across the lane to their new paddock. We have tried moving the dams instead of the cria but actually new things to explore is a bit of a distraction. There are sixteen in this first weaning group. The youngest is Rock Star, who is exactly five months of age and weighed in at 35 kgs. The oldest is By Design, who is just over 8 months of age and weighed in at…wait for it…she weighed in at 58 kgs! We have some great weaning weights this year, with the average over the 16 being 37.5 kgs. We have another 21 to wean, who are just a bit young yet. Three of those do not belong to us and another six boys have already been sold or reserved. So I make that 28 additions to our herd…not quite getting the jist of getting my numbers down, as Paul keeps reminding me! However, 29 alpacas belonging to the Prima herd did leave for pastures new a couple of weeks ago. The herd is now agisted at Blackberry Alpacas and we wish them well at their new home. The Prima herd came to us as temporary measure and stayed for over four years. With so many black alpacas gone from the farm it looks quite different in the paddocks now. Four of our boys were castrated a couple of weeks ago, before heading off to new homes. These were boys from our show team, a couple of them multi-champions, but they can’t all be studs (in fact we release very few for sale). The cost of the four castrations was £169 + VAT, pretty reasonable I would say. We pay for the time taken and our vet is very efficient. When all the alpacas due to leave actually go (a some what slow process but this will happen by the spring) routine tasks are going to be much easier. Especially as we are about to change our adult herd on to Bravoxin 10, which means two injections four weeks apart. 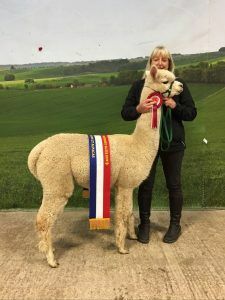 We have always stuck with Lambivac as we had never had any problems before, however we have had a case of clostridial disease (Type A) which is only covered by the ten way vaccine. The muddy fields creates a greater risk of the alpacas picking up clostridial disease. Our paddocks have sandy soil but still struggled to cope with all the rain last week. 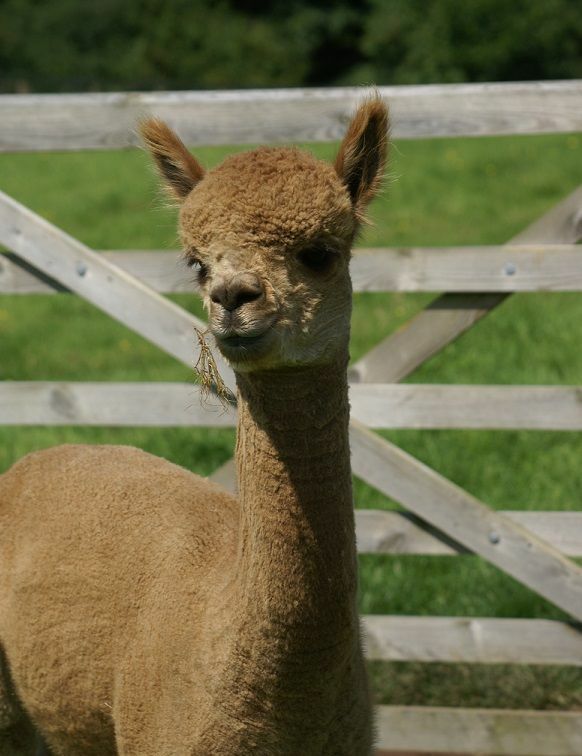 We have had lots of visitors recently but no one has seen a dry alpaca…a wet and frozen one maybe! Thus trying to decide on a National Show Team has been difficult. Luckily we only have to decide on how many at present. I think we will have a fair mixture of colours this year which is good. 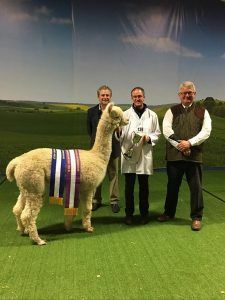 The Midlands Halter Show was our first outing since the SAG Show in April, and it was just as well we weren’t feeling jaded from a lot of showing, as it was a five and a half hour journey to the Three Counties Show Ground. It was a really enjoyable show which was well organised, with lots of space and a great backdrop for photos too. 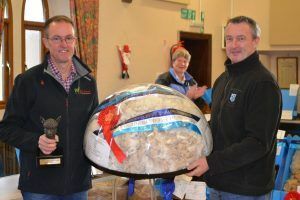 The inaugural Northern Fleece Show was judged by Mary-Jo Smith on the 24th November when 70 fleeces were assessed. 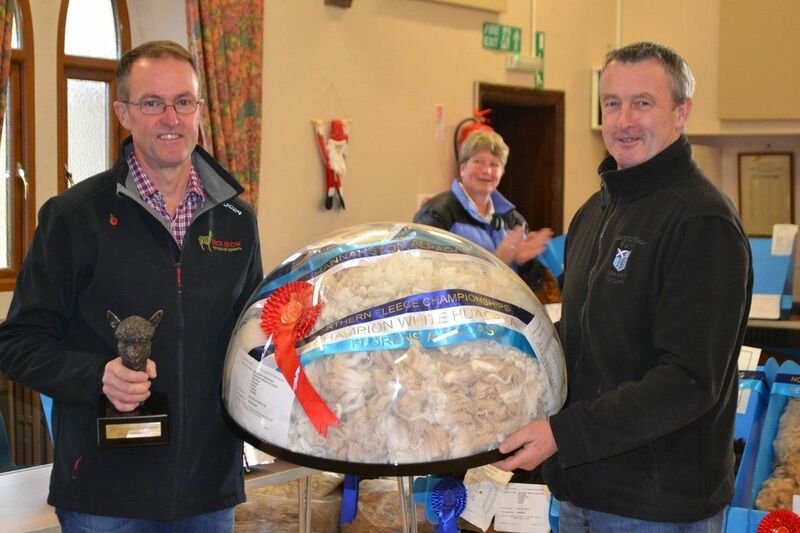 The fleeces were then displayed on Sunday 3rd of December and saw a great turn out. I think the additional temptation of a by a skirting demonstration by Julia (C-S Alpacas) and Christmas lunch at the Heather Glen Hotel as helped. Congratulations to Little Acres Alpacas who took Supreme Champion Suri Fleece. Also a special mention to C-S Alpacas Jinx (sire: Explorer) who was Reserve to the Supreme by half a point…yes just 0.5 points! With wet and dull weather I haven’t managed any outside photos for a while. The Head shot at the top is Gilt Edge Samurai of Beck Brow taken late summer.